이 그림은 수정된 그림으로, 원래 그림에서 디지털 변환이 이루어진 그림입니다. 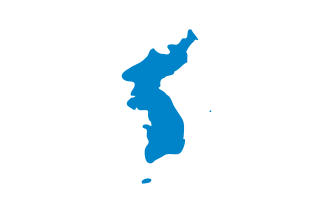 수정 사항 : No changes (This picture is the version after a revision of the flag in 2006. The other picture will be reverted to its original content). 원래의 그림 : Unification flag of Korea (pre 2006).svg. 수정판 제작자 Valentim. 2009-06-14T11:25:58Z Elmor 900x600 (4469 Bytes) Yes, they do. But 1) Could you please provide any source about flag changing? 2) Where is Ullŭngdo island, shouldn't it be present too, if Tokto/Takeshima is added?